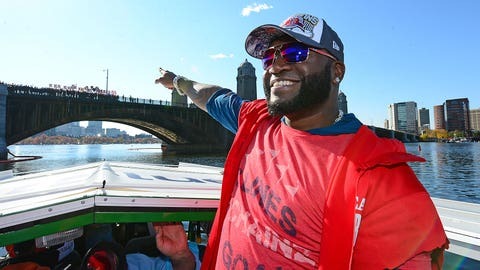 David Ortiz’s facial hair raised a lot of money for charity. A few weeks ago we told you that you could buy some facial hair that once belonged to Boston Red Sox stars David Ortiz and Shane Victorino. The $10,877.77 paid by an unknown bidder is a significant sum considering what other hair has sold for. In July, a clump of Mick Jagger’s hair sold for $6,000. A lock of hair from former U.S. president John F. Kennedy sold for $1,800 in October. The price paid is also more than what a collector paid for a clump of Mickey Mantle’s hair in 1997 ($6,900). Hundreds of strands of Ted Williams’ hair sold for $780 in a 2009 auction. All of the proceeds will go to Movember, the charity that has men grow mustaches for the month of November to raise money for prostate and testicular cancer.